When you think of Manali, the very first thing that comes to everybody’s mind is a beautiful hill station covered with snow and thick forests. 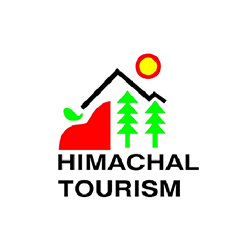 Manali is one of the most popular hill stations in the Northern region of India and it is also known as the starting point of the Himalayan mountain range. It is one of the most preferred holiday destinations throughout the year. While planning a trip to Manali from Chandigarh, you will get endless options but the most popular and quick option is hiring a taxi. However, booking a car rental service will give you the most comfortable and memorable journey. By visiting our website, you can book a taxi for your trip to Manali. Alternatively, you can also download our mobile application from Apple App Store & Google Play Store and book your ride in real time or can schedule as you need. These days the price of booking an AC bus or an AC train will cost you the same as booking a car rental service. However, the journey will not be very comfortable. Why not book a Chandigarh to Manali taxi? WooCabs is one of the most reliable and lowest prices taxi service provider known to offer best Chandigarh to Manali travel packages. Book Now. For any bookings and query about Chandigarh To Manali Cab Service, you may contact our customer service agents by dialling (+91) 9779-390039. Or one can book cabs through our website or mobile apps. The distance between Chandigarh and Manali is 325 Km and it takes around 7 hours to reach Manali from Chandigarh. Our drivers at WooCabs, are well experienced in driving in hilly roads hence you can be assured that your journey will be extremely safe. For a nature lover, the road trip to Manali will be extremely pleasing. You will get to witness snow covered mountains and lush green landscapes. The Solang Valley, The Parvati Valley, Rohtang Pass and Beas River are some of the top attractions that you surely cannot miss while you are in Manali. Manali also offers some fun activities like rafting, paragliding and mountaineering. At WooCabs, we offer a wide range of cars for car rental service. You can choose from the wide range of options that we offer depending on the number of people you are travelling with and other factors like the amount of luggage you will be carrying. Keep reading to know more about the service that we offer Chandigarh to Manali car rental service. If you are looking for the cheapest Chandigarh to Manali travel packages yet from a well-reputed company that offers good service, you are at the right place. We at WooCabs, offer the best and cheapest packages for car rental service in the market. Once you are done with the complete booking process, you will receive an email from our side mentioning all details regarding the package. We make sure that we offer affordable yet quality travel packages to our customers. Fare starts from Rs 9/km for hatchback and goes upwards on the basis of the car type you choose. However, there are other factors as well that affects the total price of any package that you select. We make sure that our customers are paying for what they see hence we keep our billing policy very transparent. Below we have mentioned our billing process, keep reading to know about it! Apart from all these, we will not even charge a penny more from you. We offer both Chandigarh to Manali one way cab service and round trip as well. If you are looking for the best car rental service, you are at the right place. Book Now!